For those who are interested in robotics and are looking for ways to apply their interest to a career should consider robotics opportunities in welding. Here you can learn more about the intersection of robotics and welding, and explore available job opportunities in the field. Robot welding, sometimes called robotic welding or robotic arc welding, refers to the use of robots in the welding process. The robots both hold the parts to be welded and perform the welding from start to finish. Robots can be guided through the process by machine vision, by dedicated programming, or by both factors. Today, robots are used in a variety of industries, including agriculture, construction, manufacturing, mining, transportation, and warehousing. Robot welding plays an important role in areas where precision and efficiency are key, such as in the automotive industry. Robotic welding offers improved accuracy and repeatability in relation to the body motions of a human welder. Welding robots can be sorted into two primary types: Spot welding and arc welding. Spot welding joins together two adjacent metal surfaces using electrodes. Arc welding uses wire electrodes and gas to weld together surfaces using a metal arm (or arc). Both categories require precise movements and appeal to the robot enthusiast who loves programming robots to perform tasks. Robotic arc welding does rely on humans to program the robots and to adjust the welding settings as necessary. As such, robot welders need experience with both robotics and welding to succeed on the job. How did Robotics Come to be Relevant in Welding? Robots were first used in the welding process in the 1960’s, in a General Motors factory in New Jersey. However, the practice did not become mainstream until the 1980’s. Since the 1960’s, new developments have boosted the number of electromechanically driven axes on which robots could move. This has expanded their use within manufacturing, and also increased the skill set needed to work with robots. Today, robotic welding is mainly used in large-scale manufacturing and automotive plants. Since robots are costly and skilled programmers are few, it does not usually make sense for small shops to invest in the technology. Intuitive teaching methods make it even easier to lean about robotic welding without having full scale programming knowledge. Of course, robotics enthusiasts with programming knowledge will enjoy the task of precision welding too. Innovative intuitive teaching methods dramatically decrease the time it takes to program a robot for welding, which makes it more economic to invest in robots for welding. This is poised to increase the both the opportunities for robot welders and the practical applications of robots in welding. Most robot welders come from either a welding or a robotics background. Welders looking to advance, learn new skills, and boost their marketability often come to learn about robotics as a way to move into the field. Take the first step toward your new career by gaining real, practical experience in both the field of welding. The Tulsa Welding School offers flexible welding programs that provide hands-on welding opportunities and classroom experience. Additionally, those skilled in robotics in search of a practical place to apply their skills may enjoy that welding is a hands-on means of using robotics skills. 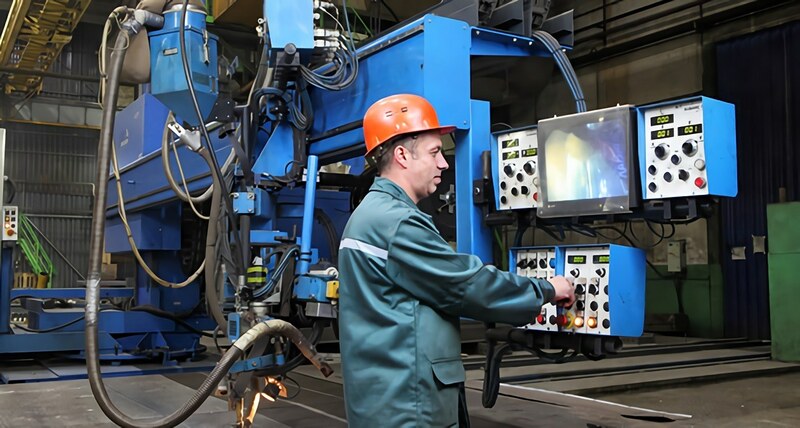 These individuals often enjoy the people focus and variability of programming robots in an industrial environment where hi-tech welders are in demand. They can earn close to 50,000 annually 1 depending on skill, years in the field, and position.